Do you like Kitchen Slacking? Share it with your friends. 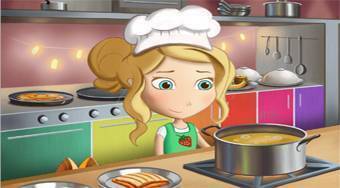 Kitchen Slacking - help Sarah to finish all seven mini games within the time limit of three minutes and do not let the chef to catch her.